Hello. 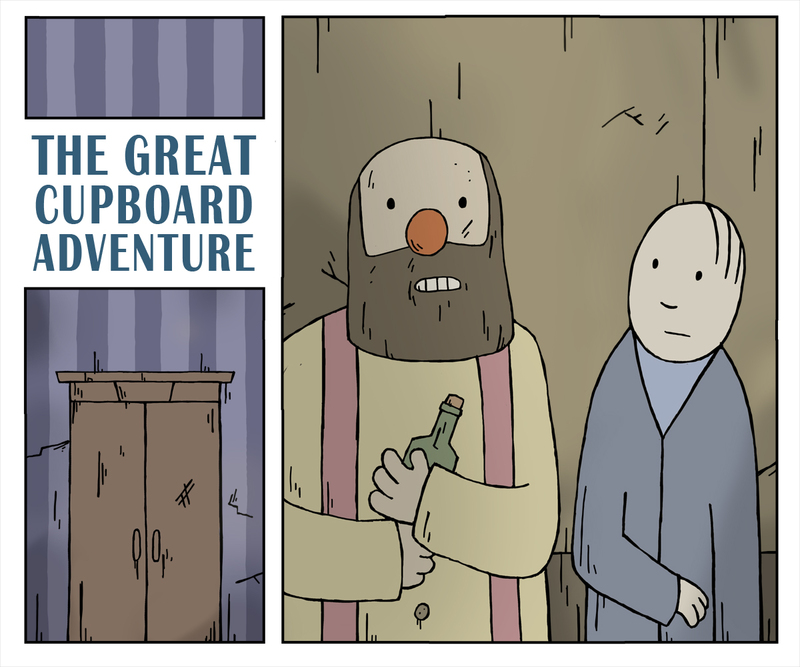 I’m currently working on an exciting new short story called, “The Great Cupboard Adventure.” It’s been a pretty fun mini-project so far, and I think a couple of you will enjoy actually reading it (?). Either way, I’m going to post the whole thing on Honey Badger Mountain with all my other “sequential art” based stuff very soon indeed! In the meantime, here’s a thing to look at! This entry was posted in comics and tagged art, cartoon, character, comic, comics, funny, illustration, news, story, surreal, webcomic, writing. Bookmark the permalink.